From just ONE END of any two or more conductor cable you can measure up to 3,000 feet (915 meters). 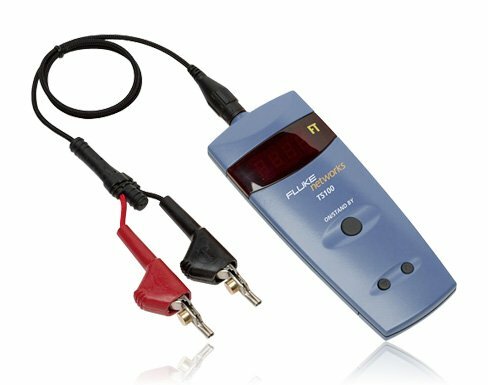 The TS 100 cable fault locator lets you easily find the distance to opens or shorts on electrical wire, telephone wire, security wire and coax. Results appear as a distance reading rather than a waveform, so it's perfect for technicians unfamiliar with Time Domain Reflectometery (TDR) fault locator. Locate and fix cable fault problems without pulling new wire or blindly cutting into walls. Intermittent faults are easier to find because the cable fault locator unit constantly measures while "On". 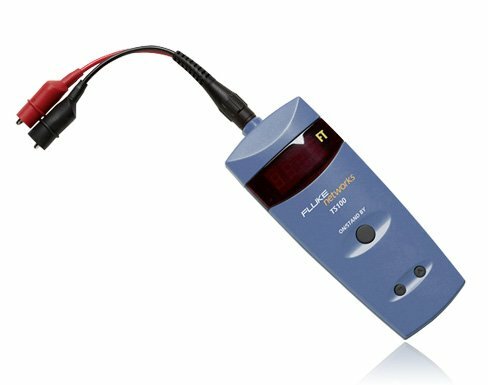 The TS 100 cable fault locator with patented SmartTone technology gives you 5 distinct tones to use for exact wire and pair identification, even in proximity to current-bearing cable. Voltage detection in the cable fault locator unit will immediately sound an alarm if you accidentally clip onto an energized pair, up to 250VAC. 4 AA alkaline batteries, provide 50 hours of operation. If the tester is exposed to water, some may get inside, but it will suffer NO DAMAGE. See the information on moisture under “Maintenance”. 2500 feet on certain cable types, 2000 feet on most cable types, and 500 feet on very lossy cables. The tester will display –Err if the cable is too long to be correctly measured.